Found the haiku on a bottle of rose green tea. I was amused. Eheheh this is extremely cute and a very nicely painted piece. 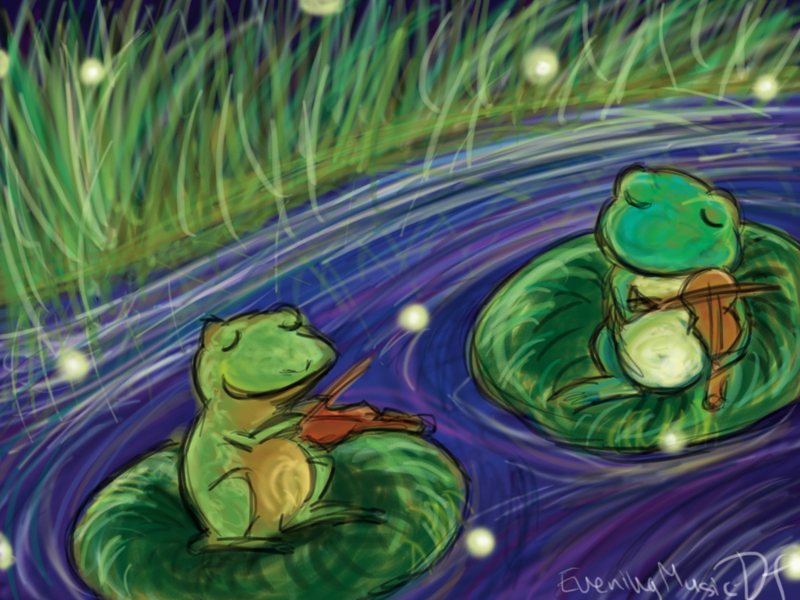 The fluid brush strokes are soothing and provide a nice sort of rhythm for these amphibian violinists. Nice job! Very cool colors and painting. Love the idea, nicely done! i have never seen anything like this before...what can i say....its fantastic and cute! and that is one inspiring haiku. btw, would you like to join ? do you happen to have a larger sized wall? say 1600x1200? Thanks for making such a great work! Caught my eye instantly. I can almost see they're playing serenade. oh hey this is a treasure!